Back in August, Downey celebrated National Night Out with a variety of activities at the Civic Center. 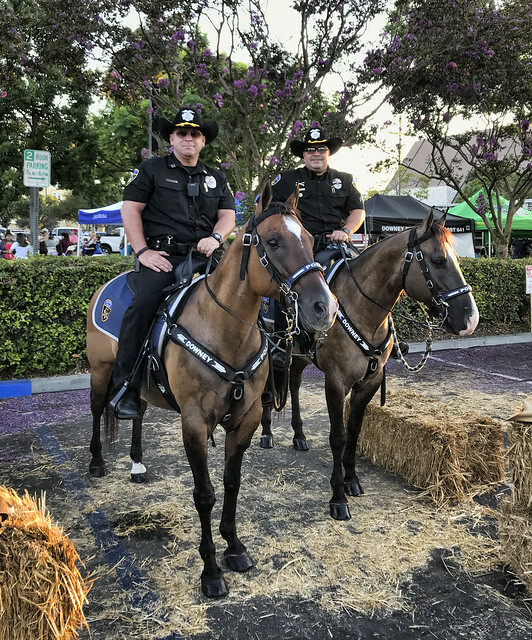 This was the first National Night Out for the Downey Police Department’s mounted unit, which is overseen by Captain Mark McDaniel and Detective Paul Hernandez. Mark and Paul, along with their equine partners “Captain” and “Coqueta,” posed patiently for me. In actual practice, Captain and Coqueta don't actually do much policing. They get to come out for events like this, where they are admired and patted by both adults and kids. 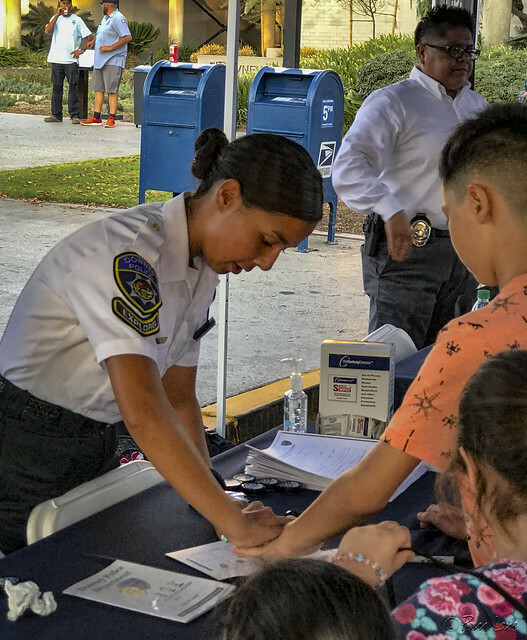 In another area, the Downey Police Explorers fingerprinted kids for a National Child ID kit. 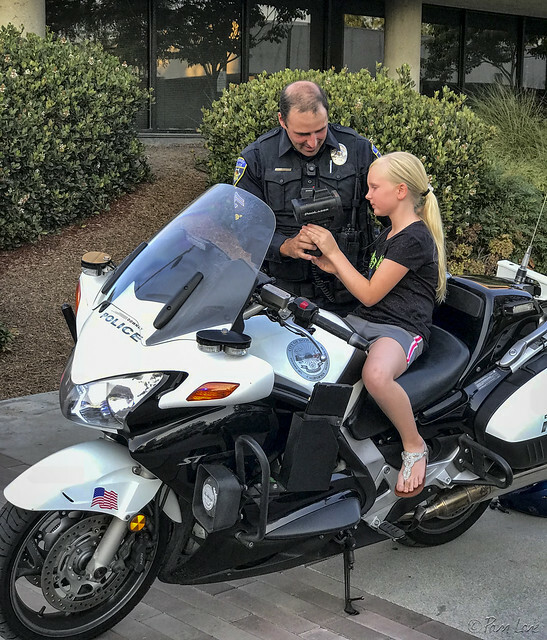 Nearby, a Downey motorcycle officer showed a young girl how to use a radar gun to determine if a driver is speeding. Lots of other activities and freebies made this a fun night for Downey families.